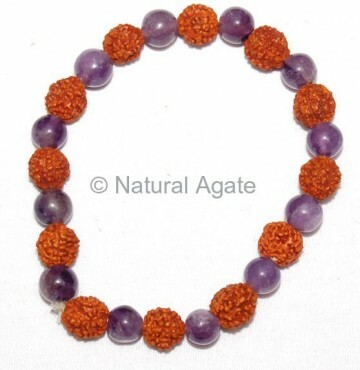 Amethyst and Rudraksha Beads Bracelet can be worn during meditation session or while offering prayer. It will bring you closer to spiritual realm. It is available on Natural Agate.